The country started the year on a cold note what with temperatures dropping to single-digit-degree Celsius—Baguio on Jan. 28 recorded its lowest temperature so far for this amihan season at 9.8 degrees Celsius. To make situations even colder—quite literally, the Philippine Atmospheric, Geophysical and Astronomical Services Association said temperatures are expected to plunge even further in February. 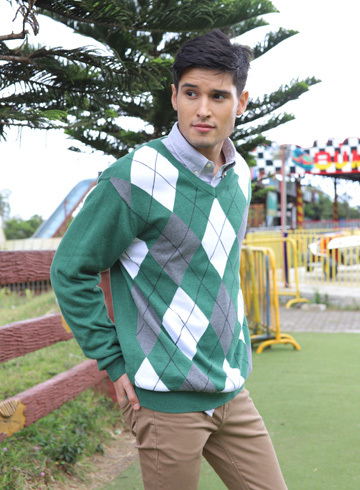 As the Philippines enjoys “sweater weather,” Surplus rolls out pieces that keep men and women warm and chic and cozy. Soft knit sweaters come in a variety of styles, including classic turtleneck, crewneck, cardigan, and pullover. These cozy sweaters can be worn with jeans and sneakers for a casual weekend look, or with animal prints and statement footwear to make a trendy statement. Surplus stores are located at most SM Supermalls.